Mentors and Succession. I'm often asked the best path to CFO. The truth is you don’t learn the intricacies of being an accomplished CFO in school. While the strongest CFOs earn multiple degrees, it’s the years of hard-earned and hands-on experience that qualifies them to make gut-based decisions and be successful leaders. Leadership tends to be an overlooked skill, but for a CFO it’s more important than the transactional know-how, because it’s what you don’t see in the data that can bite you. 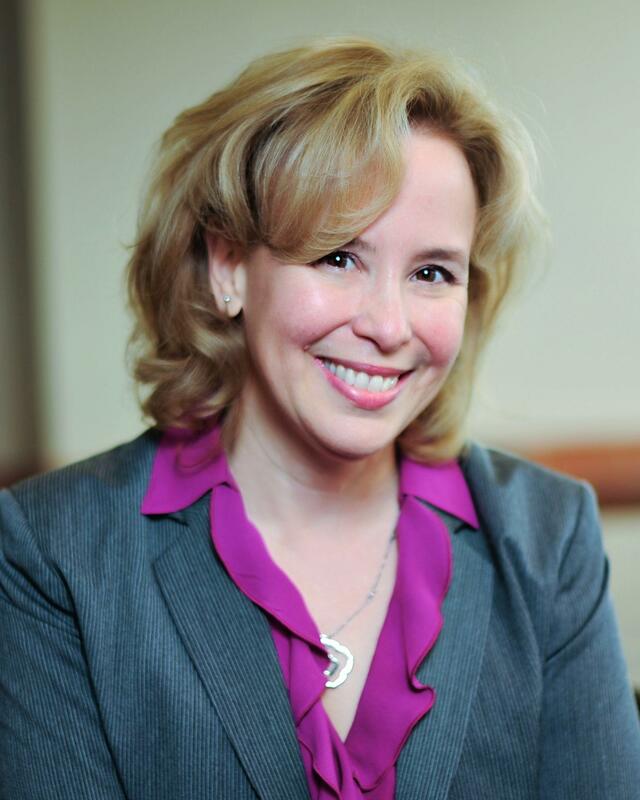 It’s up to us to mentor our up-and-coming CFOs on how to be efficient leaders. Those that master the art of mentorship are not only rewarded with strong teams but hope for the future of their industry and confidence in passing the baton. R.D. Olson Construction, an award-winning general contracting firm in Irvine, Calif., partnered up with TCA Architects and local subcontractors to renovate nonprofit Olive Crest’s short-term residential therapeutic home in Santa Ana. “Demo day” occurred Saturday, Sept. 1 at 8 a.m.and kicked off the renovation of the 1954 home’s kitchen and living areas. Improvements will include new flooring, appliances, water heater, AC and other amenities to provide a more comfortable environment for the six young women living in the house. Founded in 1973, Olive Crest provides safe, residential facilities to house Orange County youth. R.D. Olson Construction and TCA Architects are donating their time on the project, and most materials and labor are being sponsored through the subcontractor and material supplier community. R.D. Olson’s relationship with Olive Crest began more than 15 years ago when it took the lead in building a multi-purpose facility for families in Riverside. It has continued to provide support to this deserving nonprofit each year through holiday donations, back-to-school drives and the donation of amenities and supplies for residents to help the nonprofit further its important mission of preventing child abuse, treating and educating at-risk children and preserving families. The Orange County Business Journal announces the 50 most community-minded companies in Orange County. The Civic 50 Orange County, presented by the Orange County Business Journal (OCBJ) in partnership with OneOC, provides a local standard for superior corporate citizenship and showcases how companies can use their time, skills and other resources to improve the quality of life in the community where they do business. Since 2012, The Civic 50 has recognized the 50 most community-minded companies in the nation each year as determined by an annual survey developed by True Impact. For Orange County, honorees were determined using True Impact’s adapted national Civic 50 online survey that is independently administered and scored. Companies were selected based upon four dimensions of their community engagement programs: investment, integration, institutionalization and impact. 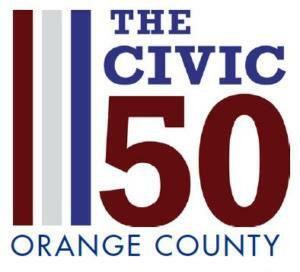 The Civic 50 OC honorees include businesses from three categories: small, medium and large (based on OC workforce). The second annual Civic 50 OC Awards Luncheon will be held October 11, 2018 at the Hotel Irvine featuring keynote speaker Arthur Woods, co-founder of Imperative. All 50 honorees will be recognized at the event, and five awards will be given in the following categories: small, medium and large; emerging; and legacy. Irvine, CA – Thanks to our associate's continued dedication to excellence, we once again were able to make 2018 ENR (Engineering News-Record) Top 400 Contractors List. This award is a great measure of the success R.D. Olson has seen in the last few years and exemplifies the organization’s continuous pursuit of top notch service and quality projects in the hospitality, restaurant, multi-family, retail and entertainment sectors. We charted at #325 up from last year's #338 position and we know 2019 holds bigger and better things. You can view the complete list of contractors here. By focusing on forming strong relationships with clients, developers and the communities in which it works, R.D. Olson Construction has achieved success in more ways than one. With a range of new efforts in the affordable housing space, the firm seeks to make an impact for limited-income residents while cultivating a close-knit company culture. According to President Bill Wilhelm, the success of R.D. Olson is due largely to its commitment to these relationships. Wilhelm has been part of the R.D. Olson team since 1994. Over the years, he has witnessed the company move from a somewhat small general contractor to one of the industry leaders in ground-up and renovation construction. R.D. Olson focuses on serving the needs of its existing customer base above all else. Returning business makes up about two-thirds of its current portfolio, and Wilhelm hopes that this figure will continue to grow in the coming years. R.D. Olson has participated in the development of projects ranging from restaurants to hotels. More recently, it has branched out into affordable housing. One of its recent efforts, the Village at Calabasas, added 180 units of housing to a community in southern California. The property was completed in 2016. Fullerton Family Housing in Orange County is now under construction and, upon its completion in spring of 2018, will offer 55 units of affordable housing. The site itself is compact, requiring some creativity to make the most of the development. Despite the limited space for construction, development at Fullerton Family Housing is taking place with careful attention to architecture and aesthetics. R.D. Olson has a time-lapse construction camera accessible through its website, allowing members of the public to see progress in real time. As for the community in Fullerton, Wilhelm says that the reception of the new development has been overwhelmingly positive. R.D. 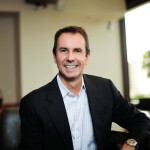 Olson’s focus on building relationships within the community has led to a strong reputation for the firm. R.D. Olson’s commitment to delivering exceptional products remains at the forefront of this new affordable housing development. Achieving success over the course of nearly four decades has required a level of commitment to clients and employees alike. In the coming years, Wilhelm says R.D. Olson will continue to invest in its employees, giving them opportunities to take on leadership roles within the company. Having an engaged workforce gives R.D. Olson an edge over its competitors and demonstrates its commitment to people. The Business Journal OC 500's Bob Olson owns both, and the former builds for the latter. R.D. Olson Construction built the Marriott Irvine Spectrum, which opened in March, and the boutique Lido House in Newport Beach, which opens in May. Last year it was No. 13 on the Business Journal's list of commercial construction companies, down two notches, with $218 million in revenue, down 6%. Partner and President Bill Wilhelm, who also owns a stake in the company, said it's now at about $225 million in annual revenue - two-thirds from hotels. About 30% is from multiunit projects, up from 20% in recent years; 97% of multiunit work is affordable housing, student housing and timeshares. and there's a sliver of market-rate, or standard-priced work. 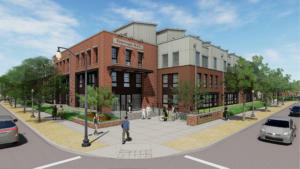 Wilhelm wants more mixed-use apartment projects-rental living that includes retail-and to get back to assisted living. If the remix plays out, R.D. Olson Construction's reliance on hotel construction will drop from 75% of business a few years ago to 57% a few years from now. All of Olson's multiunit work is for-rent product, which bears a striking resemblance to hotels when considered as ultra-short-term rentals-as short as one night. The hotel business, including construction-Olson's bread and butter-had a five year boom that began a few years after the 2008 recession. Olson benefitted building, for instance, the Pasea Hotel & Spa in Huntington Beach, an R.D. Olson Development project that opened in 2016. Olson Construction's 2017 revenue of $218 million was twice its annual take as of June 2012, when it was No. 16 on our construction list as $98 million-up 51% year-over-year. People attending the Americas Lodging Investment Summit, produced each January in downtown Los Angeles by Costa Mesa-based Burba Hotel Network LLC, over the past two years have discussed a market peak over all, a subsequent shaking out in some markets, and which "secondary markets" should now get attention. But Olson also builds outside of OC. Wilhelm said its history runs as far east as Atlanta and his vision extends beyond the county's environs with that continued focus on for-rent product. "With the cost of housing, people are leaving single-family homes and going multifamily," he said. Empty-nesters cashing out and downsizing or millennial who can't afford to buy-both still want stylish stuff. Olson hasn't gotten a lot of revenue from the education pivot yet, but "we're enhancing relationships, and prospects are improving," Wilhelm said. Cook's hire highlights an intriguing element of the multiunit effort-the need to attract and keep staff. Our 2017 construction company list showed a 13% jump in Olson's employee count to 123. Wilhelm has to hold those workers in a tight labor market and fill gaps as others retire. "You need a pipeline to grow and retain talent," he said. In colleagues and clients, it looks in part to hospitality "project partners" as "excellent referral sources" for new work. It's building 110-unit student housing project Santiago Hall for Chapman that's scheduled to open in the summer of 2019 and 55-unit affordable-housing apartment deal Citrea in Fullerton near the train station and downtown that's scheduled to open in June. The developer on the latter is Related California in Irvine, led by the OC 500's William Witte; the designer is IDS Group Inc. in Irvine. Adaptive reuse refers to the redevelopment or use of an old site or building for a purpose other than what it was originally built or designed for. The demand for adaptive reuse projects has increased significantly in the last few years, becoming more prevalent for hotel construction projects in high-density, urban areas. A majority of our company’s projects are now adaptive re-use or large-scale renovations – a significant shift from just a few years ago when ground-up construction was more widespread. In addition to solving for a lack of land supply for new construction, adaptive reuse offers a wide range of benefits for hotel owners, developers and the local community. 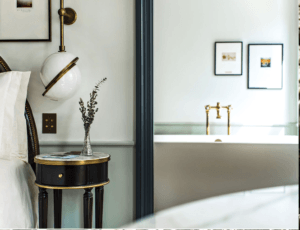 With highly commoditized hotel chains saturating the market, hotel developers want to provide travelers with a personalized experience by offering accommodation that reflects the history, culture and texture of the surrounding city. Adaptive reuse gives hotel developments a competitive advantage by transforming abandoned or underutilized structures into a creative space. This is done by refurbishing existing materials, designs and finishings that preserve the building’s historical integrity. Building on existing structures in leu of demolition allows developers to preserve any historical or cultural ties the community may have to a building. From an economic standpoint, adaptive reuse is more cost-efficient because it reduces the price of materials and construction equipment. In addition, adaptive reuse projects have shorter timelines that allow hotel developers and builders to be nimbler when adjusting to new trends and any unforeseen shifts in supply and demand levels. The flexibility allows hotel developments to go to market much faster, meaning heads on beds and the hotel can be profitable much more quickly. Additionally, adaptive reuse can help reduce urban sprawl by revitalizing existing neighborhoods and encouraging upgrades to other structures and buildings in the surrounding area – providing economic benefits for the entire area. In almost all cases, adaptive reuse is more environmentally friendly than ground-up construction. Adaptive reuse projects have lower energy consumption and exert less pollution, which is often caused by the demolition of an existing structure, the additional machinery required and the transportation of raw materials. Furthermore, adaptive reuse protects the local environment by generating less waste in the surrounding neighborhoods. While adaptive reuse offers a host of benefits, it also comes with its unique challenges. Oftentimes, unforeseen features that conflict with the planned project layout are the biggest obstacle. For example, when converting a 1960s office building in Los Angeles into a dual-brand hotel near the Los Angeles International Airport (LAX), now known as the H Hotel, our team was surprised to find a walk-in vault buried behind the walls. Located dead-center on the first floor of the building, the vault overlapped a planned retail restaurant and unfortunately had to be removed, which isn’t a simple feat. Additionally, we came across a backup transformer for the nearby airport, which was required to remain a part of the property. As a result, we coordinated a shutdown of backup emergency generators at LAX in order to update the transformer to meet electrical and safety requirements and worked with The Los Angeles Department for Work and Pensions to navigate additional requirements. Despite these challenges, we successfully completed the 12-story, 260,000-square-foot adaptive reuse project at a much lower budget than if it had been a ground-up project. Adaptive reuse projects often are a necessity in high-demand, high-density areas, but they also offer many economic, environmental and social benefits for hotel owners, developers and the local community. As there continues to be less available land for new construction, adaptive reuse hotel projects will only become more prevalent. Job site safety should be the number one priority for any construction company. It’s the right thing to do, it helps improve morale and it keeps construction projects on schedule and under budget. Long before a job starts, extensive planning should be done to identify which tasks will be taking place onsite and how best to plan for potential safety hazards. Project managers and field representatives should put preventative measures in place and communicate them to workers, and provide the appropriate tools and equipment. Zoning, which involves blocking off areas where certain tasks are taking place, installing catch platforms, nets and other safety measures, is an important part of this planning phase. By allowing only those working on a task within the zoned area past the barrier, it helps to prevent bystander injury. This methodical process also helps ensure that workers within the zoned area have the right protective equipment and tools for that specific job. One-third of all construction fatalities are a result of falls — from buildings, structural elements and ladders — making them one of the most critical safety issues for which to plan. Appropriate scaffolding needs to be installed, holes in the structure need to be cordoned off or otherwise managed, and other potential fall hazards should be planned for before construction begins. Transportation incidents are the second most common issue, with vehicle contact/collision accounting for 29% of fatalities. Less obvious factors proven to cause safety issues should always be considered when developing and implementing a safety plan. According to a study commissioned by the Associated General Contractors of America (AGC), most deaths on construction sites occur between 10 a.m. and 3 p.m., with fatalities peaking around noon. Almost 75% of fatalities happen on Mondays through Thursdays, with industrial projects reporting more incidents than residential, commercial and other project types. What does this mean for you? Consider scheduling safety meetings around noon during the beginning of the week, and make sure there is a strong protocol for safety during lunch breaks. If you are working on an industrial site, encourage frequent safety meetings and perhaps more stringent safety protocol that accounts for the dangers unique to industrial building. The AGC report also shows that small construction companies with one to nine employees account for a much higher fatality rate (26 per 100,000 workers annually) than larger firms. If you are at a smaller company, don’t make safety planning any less of a priority. There is also a strong correlation between fatalities and the summer months, and deaths are also more common in the South than other areas of the country. This may be due to heat-related illness and exhaustion. Make sure workers have adequate access to water, encourage them to take regular breaks and train them to monitor for heat-related issues. Another overlooked but pressing safety issue is worker exhaustion. The industry-wide talent shortage can make it difficult to appropriately staff jobsites, leading some companies to over-schedule workers in order to meet demanding construction schedules. But no matter how many preventative measures and education programs you put in place, it’s all for nothing if workers are too physically or mentally worn out to follow protocol. The Occupational Safety and Health Administration (OSHA) reports that accidents and injury rates are 30% greater during night shifts, and working 12 hours per day comes with a 37% increased risk of injury. Safety isn’t just a concern on jobsites, though.
. Extended shifts can be correlated with an increased risk of having a car accident on the way home from work by 16.2%. They can also lead to a higher probability of developing health problems due to prolonged exposure to chemical and noise hazards. Companies can help prevent worker exhaustion, and improve retention, by limiting extended shifts, ensuring employees and subcontractors aren’t working too many hours and taking possible talent shortages into account when creating the project schedule. For a safety program to be successful, safety needs to be integral to a company’s culture. Education is one way to instill this. OSHA’s 30-hour Construction Training Course is one example of a valuable program that ensures every worker has the same comprehensive knowledge that can be built upon during company trainings. While the OSHA program is geared toward safety directors, foremen and field supervisors, it is ideal if everyone in the company goes through the training to make sure the takeaways are spread across every level of the organization. Trainings shouldn’t be relegated only to management and employees. It’s best if subcontractors and other partners also receive trainings, ensuring their safety standards are in line with a GC's own. Regular safety events, onsite and off, that teach workers about the latest regulations and give refreshers about existing ones are also critical to promoting a culture of safety. They can range from brief onsite recaps to fun team-building exercises. Regardless of the format, they typically should be done at least weekly to make safety part of workers' daily mindsets. Planning, risk management, staffing and education are all important components of keeping job sites safe. As an industry, we owe it to our workers to prioritize safety and give them all the tools necessary to prevent incidents before they occur. Luxury homes are hot in the ritzy Orange County enclave, but experts urge sellers to exercise caution. "...Meanwhile, on the commercial side, proposed projects are moving along, helped in part by the activity in the residential market. National general contracting and construction management firm R.D. Olson Construction, based in Irvine, is building the luxury Lido House Hotel in Newport Beach. The hotel, on the site of the former City Hall, is part of Marriott International’s Autograph brand. Slated to open in the spring of 2018, the 103,000-square-foot, four-story, 130-room hotel is located close to the Lido Marina Village, a shopping and entertainment center, which itself underwent a renovation last year. Developed by DJM Capital Partners, the 116,000-square-foot retail, dining and creative office project now houses trendy eateries such as Nobu and fashion brands such as Elyse Walker and Warby Parker in addition to a 47-slip marina. " The hotel sector in Southern California is booming. Los Angeles County set a record for drawing tourists last year, hosting nearly 50 million visitors in 2017. That was a 2.2% increase over the record 47.3 million tourists in 2016. To gain a better understanding of trends shaping the industry, Connect Media asked Bill Wilhelm, President of Irvine, CA-based R.D. 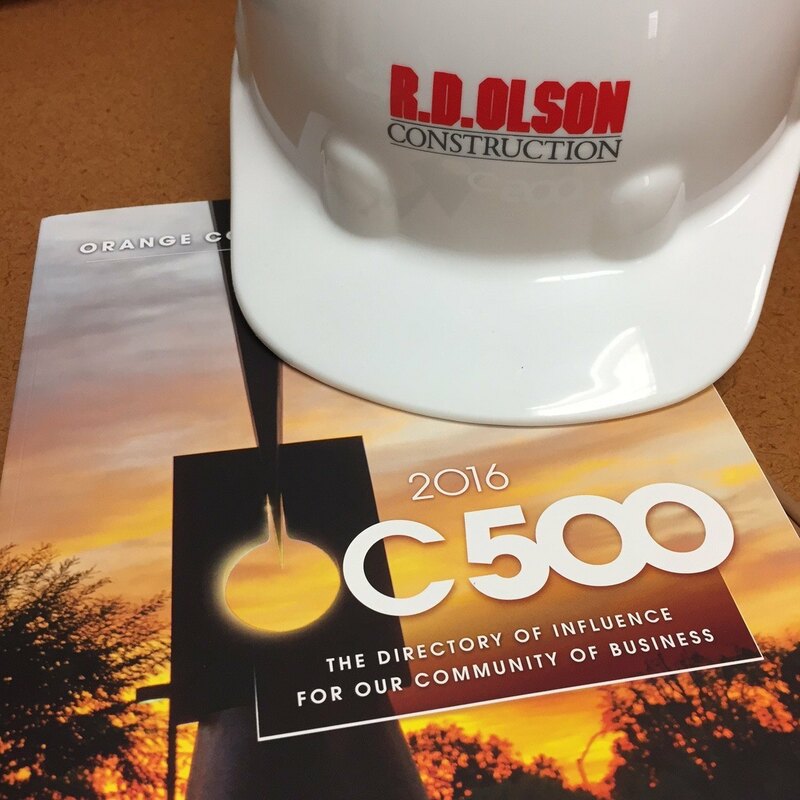 Olson Construction, to share insights. 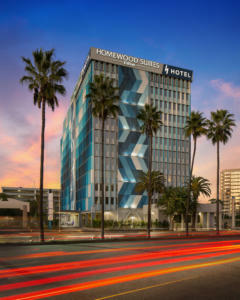 The company recently completed the dual-brand H Hotel at LAX, which is part of Hilton’s Curio Collection and Homewood Suites in Los Angeles. Q: Why has adaptive re-use become more prevalent than new construction in the hotel industry? A: In the past few years, there has been an increase in demand for adaptive re-use projects over ground-up construction in high-density areas with limited space available for new construction. At R.D. Olson Construction, about 60% of our projects are now in adaptive re-use and large-scale renovations, largely because many of our projects are in the high-demand Southern California market. In an industry of highly commoditized hotel chains, adaptive re-use gives hotel developments a competitive advantage through the unique character and creative use of space that differentiates these types of buildings. Second, adaptive re-use is more cost-efficient, reducing the price of materials and construction equipment. Furthermore, having an existing structure to build upon makes adaptive re-use a speedier process, allowing hotels to go to market much faster. Q: In the current economic climate, is adaptive re-use a good hedge against a potential downturn? A: Yes, adaptive re-use is a good hedge because it allows for much shorter timelines, which reduces the risk that a recession or other economic downturn will happen mid-project and allows the hotel to start becoming profitable faster by getting guests in the door sooner. It also allows for more flexibility to adapt to new trends and changes in supply and demand levels. A smaller investment is required for adaptive re-use, which also is appealing in the case of a downturn. Q: Are there non-economic benefits to adaptive re-use as well? A: More than economic gain, adaptive re-use offers social and environmental benefits. Adapting old structures for new purposes allows developers to preserve any cultural and historical significance a site has for the surrounding community. In addition, adaptive re-use projects reduce energy consumption typically caused by demolition, additional machinery and the use and transportation of raw materials. Overall, the energy output for adaptive re-use is much less than ground-up construction. As 2017 comes to a close and we look forward to the year ahead, jet-setters have plenty to be excited about when it comes to new hotels. There will be a lodge in a Rwandan national park perfectly situated for observing primates in their natural habitat; a luxurious retreat with direct access to a highly Instagrammable geothermal spa; and even a historic village that has been relocated and reassembled brick by brick in the hopes of conservation. Many of these properties are destinations in themselves, some might introduce you to a new neighborhood in one of your favorite cities, while others will bring you to far-flung locales waiting to be explored. As you plan your travels for 2018, here are 14 of the most anticipated openings we’re keeping an eye on next year. Downtown Los Angeles is going through a resurgence and the arrival of the new NoMad is only further proof of its comeback. The flagship property, along with its stellar restaurant, has long been favored by New Yorkers (it was even chosen by Beyoncé for her Soul Train–theme birthday party last year), which will make this second outpost particularly special for bicoastal travelers. Arriving late January, NoMad Los Angeles is taking over Giannini Place, a building originally built in the 1920s that served as the Bank of Italy’s headquarters. Aspects of its Neoclassical construction have been preserved and the hotel’s 241 rooms will pull inspiration from the carefully restored gold and blue Italianate lobby ceiling while still maintaining the Parisian flare we’ve come to know and love. The food and beverage program will be overseen by chef Daniel Humm (of acclaimed Eleven Madison Park) and restaurateur Will Guidara and will include an Italy-inspired café, but the rooftop, with its alfresco dining space, cocktail bar, and pool, will surely be an instant hit. Safety is a culture, and educational programs need to be put in place to instill this culture and ensure that individuals are aware of their surroundings, R.D. Olson’s Bill Wilhelm tells GlobeSt.com. NEWPORT BEACH, CA—Safety is a culture, and educational programs need to be put in place to instill this culture and ensure that individuals in the construction industry are aware of their surroundings in the, R.D. 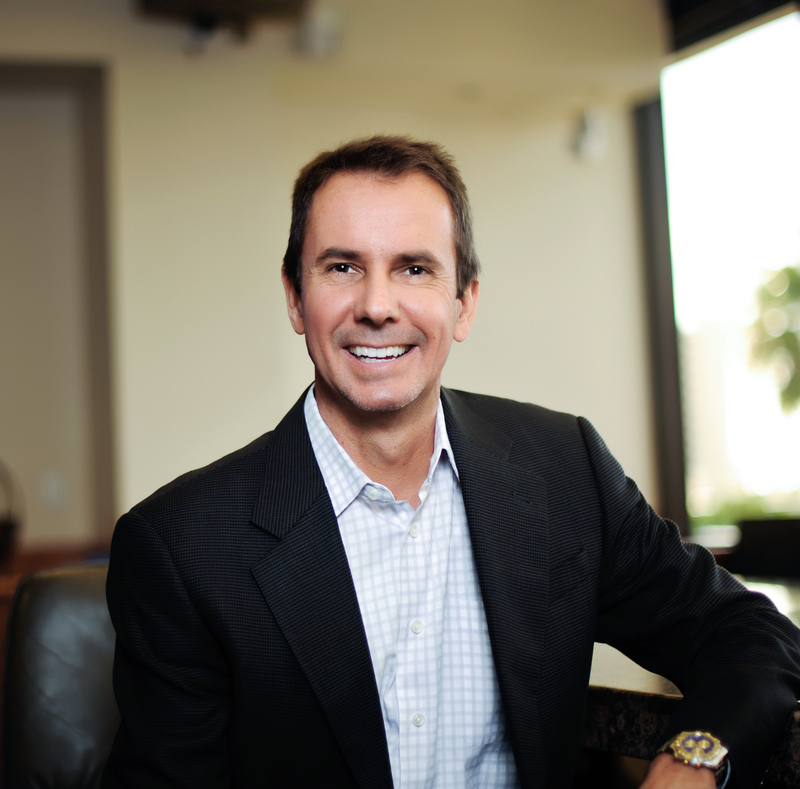 Olson Construction’s president Bill Wilhelm tells GlobeSt.com. Implementing proper protocols from the start not only keeps workers safe, but also increases speed and productivity, he adds. We spoke with Wilhelm about how companies can improve their safety records and create a better working environment for employees and subcontractors. GlobeSt.com: What are the top safety issues in the construction industry right now? Wilhelm: The hottest issue in safety continues to be fall protection. Whether it is prioritizing the installation of safe scaffolding on the side of buildings or managing holes that go through the floor, potential causes for falls should always be closely monitored on construction sites. Ear and eye protection are also some of the most critical safety concerns. Eyes are most vulnerable because they are the most exposed, and sparks from welding jobs, saws and other tools are common with any construction project. All individuals on a construction site need to wear proper hearing and eye protection to prevent injury. GlobeSt.com: How can companies prevent safety issues from occurring? Wilhelm: Safety is a culture, and educational programs need to be put in place to instill this culture and ensure individuals are aware of their surroundings. At R.D. Olson Construction, our employees are OSHA 30 certified, ensuring they have the training they need to promote our culture of safety. We have safety events and safety tailgates as often as once per week on job sites. Our safety directors also do full safety inspections on site at least once every other week. Safety is an ongoing part of our training and education, and is fostered across all levels—from management and employees to subcontractors and other project partners. Regardless of the issue, safety as a whole is all about communication. On every site, you need to first identify the tasks that are taking place and what safety measures need to be implemented during every step of the construction process. Zoning, which involves cordoning off spaces when certain tasks are taking place to ensure those nearby aren’t at risk of being injured, is often part of our safety protocol. GlobeSt.com: From a cost and productivity perspective, what are the benefits to implementing proper safety protocols and education programs from the start? Wilhelm: Ensuring the safety of workers should always be the top priority, no matter the cost. However, the cost of implementing these protocols and education programs is often negligible and nearly always saves money in the long run. Safety issues, no matter how minor, can delay a project significantly, affect worker morale and lead to costly investigations. Implementing proper protocols and training from the start is the right thing to do, but it also has the added benefit of increasing speed and productivity. GlobeSt.com: What else should readers know about this topic? Wilhelm: An often overlooked, but extremely important, safety concern is exhaustion and general wear and tear on workers’ bodies. Tired workers present a very serious safety issue on job sites, and with an industry-wide talent shortage, it’s even more of a concern. Exhaustion can cause experienced workers to make simple, split-second mistakes that could be deadly. Companies can take preventative measures by ensuring that employees and subcontractors aren’t working too many hours and that the building schedule is realistic from the start. R.D. Olson’s latest Aviation Inspired Hotel Project on the Local News. 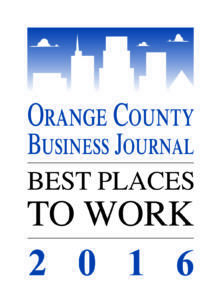 The Orange County Business Journal (OCBJ) today announced the 50 most community-minded companies in Orange County. The Civic 50 Orange County, presented by the OCBJ and in partnership with OneOC, provides a local standard for superior citizenship and showcases how companies can use their time, skills, and other resources to improve the quality of life in the community where they do business. This is the first time the Civic 50, a national initiative of Points of Light, has been localized to a specific market. Since 2012, the Civic 50 has recognized the 50 most community-minded companies in the nation each year as determined by an annual survey developed by True Impact. For Orange County, honorees were determined using True Impact's adapted national Civic 50 online survey that is independently administered and scored. Companies were selected based upon four dimensions of their community engagement programs: investment, integration, institutionalization and impact. 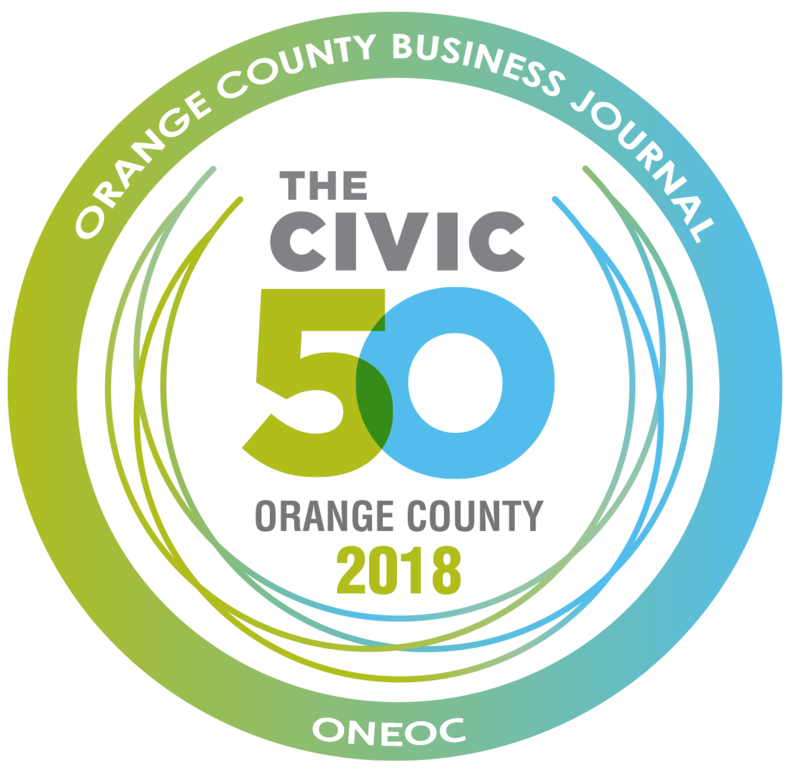 The Civic 50 OC honorees include businesses from three categories: small, medium and large (based on the company's number of local employees. The inaugural Civic 50 )C Awards luncheon will be held October 19, 2017 at the Hotel Irvine featuring keynote speaker Matthew Emerizian, founder and CEO of Every Monday Matters. All 50 honorees will be recognized at the event , and five awards will be given in the following categories: small, medium and large company; emerging company; and legacy company. Wilhelm: This project is R.D. 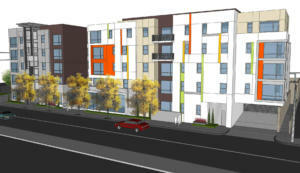 Olson Construction’s fourth affordable complex, and adds to our extensive multifamily portfolio in California. Our multifamily work spans many market sectors, and includes senior housing, live/work townhomes, luxury apartments, condos, student housing and more. As far as affordable housing, our most recent project was the 180- unit Village at Calabasas, which was completed in 2016. The number of new hotels that opened in California increased 53 percent in the first half of 2017 and there were 15 percent more hotels in development and 6 percent more under construction vs. the same period in 2016, according to an Atlas Hospitality Group study. “This is a record number of hotel rooms that have opened in the first six months of the year,” said Alan Reay, president of Irvine-based Atlas. Twenty-six hotels, with 4,730 rooms, opened in the first half of 2017 vs. 17 hotels in the same period of 2016. Reay said many hotels are being built now because the price of buying and renovating older hotels is high, that it is more attractive to build a new hotel, construction financing and loans are readily available and there have been six years of revenue increases. In Orange County three hotels with 461 rooms opened during the first half of the year. 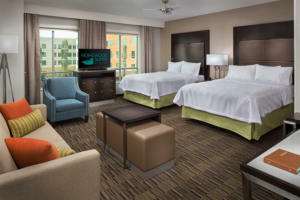 Homewood Suites by Hilton Irvine John Wayne Airport: The 161-room hotel opened this winter. It offers studio, one- and two- bedroom suites. Each has a fully equipped kitchen. The hotel has a fitness room, pool, business center and meeting rooms. The project was Irvine-based R.D. 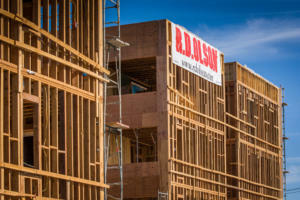 Olson Construction’s first partnership with hotel management and development company DKN Hotels, also based in Irvine. 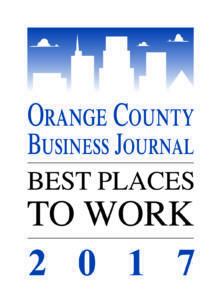 We were just notified that we have once again made the list of Best Places to Work in Orange County. We have attempted to receive the award twice and have successfully made the list both times, so that speaks volumes to the atmosphere that all our associates try to cultivate within the walls of our office as well as out in the field on our project sites. The incredible positivity that all our associates possess is a testament to the entrepreneurial spirit that drives our business forward. When our associates are able to make decisions for the way they handle their job and are rewarded consistently for their initiative, it makes for a truly great and dynamic corporate environment. What Determines If Hotel Projects Move Forward? IRVINE, CA—Timing is a major issue in hotel projects as this point; if a project is not far enough along in drawings, permits, etc., it may not make it off the ground, R.D. Olson Construction’s president Bill Wilhelm tells GlobeSt.com. 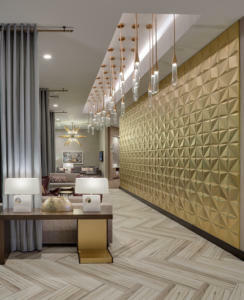 The firm, a successful builder of hotel properties in California recently completed construction on Homewood Suites by Hilton Irvine/John Wayne Airport. 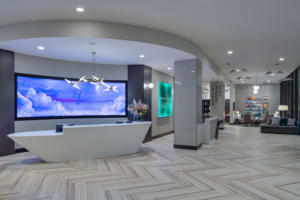 The ground-up project marks the firm’s first partnership with Irvine-based hotel management and development company DKN Hotels. The four-story, 161-room hotel is located in the Irvine business and industrial district and is close to Orange County shopping centers the District, South Coast Plaza and Fashion Island. 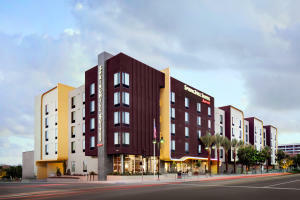 The hotel represents the firm’s third completed project in Irvine, with the Irvine Spectrum Marriott currently underway. The 126,000-square-foot hotel boasts studios and one- and two-bedroom suites with 42‑inch HDTVs and kitchens that include a full-size refrigerator, microwave, stove and dishwasher. The property’s outdoor amenities include a pool and spa, fire pit, BBQ grills and a sports court with options for basketball, volleyball, badminton and smashball. R.D. Olson also recently completed work on the 174-room Country Inns & Suites by Carlson in the Anaheim Resort District and the 200-room Residence Inn by Marriott hotel in Wailea, Maui, HI, the first family-centric hotel in Wailea. Other recent completions include Paséa Hotel & Spa in Huntington Beach, CA, the 144-room Residence Inn by Marriott in Old Town Pasadena, CA, and the 94-room Hampton Inn & Suites in Glendale, CA. The firm is currently building additional regional hospitality projects including the 130-room Lido House Hotel resort in Newport Beach, CA; the 271-room full-service Irvine Spectrum Marriott in Irvine, CA; and the 118-room Residence Inn by Marriott Santa Barbara/Goleta in Goleta, CA. 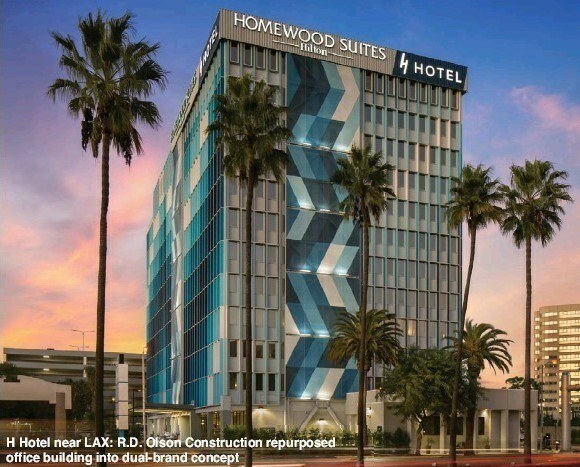 We spoke with Wilhelm about the Homewood Suites project, hotel-development trends he is noticing in Orange County and takeaways from ALIS, which he recently attended. GlobeSt.com: Why was this project a good fit for the airport market? Wilhelm: It is in kind of a secondary airport to the market, and based on its vicinity to the airport, will allow it to be a strong secondary feeder to the airport market. It’s not directly at the airport, but a spit throw away. It has easy access, and it’s in an area with a lot of corporate business, more industrial type of business. It’s a great location: off the beaten path, but with great geographic identification. Also, Tustin’s Marine Corps Air Station is still going thru major discussions—what will they do and what will happen. It’s the first steps to what will eventually be promising development in that area. GlobeSt.com: What hotel-development trends are you noticing in Orange County? Wilhelm: There are two trends. One is that Orange County itself has had so much growth take place—both residential growth and continued enhancement of corporate growth. The business sector and the growth of tourism, Disneyland and that whole market has been strong. Disneyland continues to do what the Irvine Spectrum area is doing: constantly challenge themselves by asking, “What are we current with what are the general population’s needs? What can we offer our guests in terms of more experiences? They’re always thinking outside the box on enhancements. Irvine Spectrum, too, constantly challenges itself as far as what the needs are today. In the Spectrum area, some retail pieces have come and gone, and they’re stepping up more food-service providers. They’ve done a good job of putting great restaurants in and entertainment so people want to hang out there—you can have a great dinner and people watch. You have the tourist side of it and also the corporate business side of it. When you look at the occupancy and rental part of it in the Orange County market, so many things are taking place where companies are repositioning and expanding based on the opportunities. The office side has also picked up. But from a hospitality perspective, Orange County is an area that has done well and has additional growth opportunities because you have multiple feeders: tourism, corporate and residential. GlobeSt.com: What trends did you notice at this year’s ALIS conference? Wilhelm: The overall trend is one of a little bit of caution. Predictions still show a very strong year, 2017 going into 2018; predictions are that they will be equivalent to 2016, and there may be a little bit of growth. There are a number of projects that are in planning, under construction and in development. I look at timing and finance. I really want to understand where they are in the timing cycle: drawings, permits, where are they in their financing? There’s a concern that somewhere down the road, we will start to see a few deals not go forward because of timing. We’re also seeing some developers that recognize that. Everyone is looking forward and trying to make that mad dash to the finish line; there’s a lot of adaptive reuse where the individual can get their hands on a property and be out there in renovation mode, and then 12 to 14 months later, they now have heads on beds; whereas, a new property could take 14 to 24 months or longer. A lot of it is geographic, too—the market will play a stronghold, and primary markets will always do well. I’ve heard the saying, “California isn’t overbuilt; it’s under-demolished.” From a hotel perspective that’s so true. There are so many older properties, but what will it take to bring a 25-year-old property to current standards. I think in today’s world, everyone’s willing to pay a few more dollars for a fresh, new property that provides the experience that people are seeking. You want to be out and engaged with socialization around you, whether out by pool or in the lobby. There’s a lot of business taking place in common areas among people who may not even be guests of the hotel, but are using the business-area environment. It’s a way to do business to have a cup of coffee and have a meeting. GlobeSt.com: What does your firm currently have in the pipeline? Memos issued by the Trump administration on Tuesday said millions of people living illegally in the U.S. are subject to deportation and called on local authorities to enforce immigration laws. The announcement set many in the food business in particular on edge. “We’re preparing our members as best we can,” said Jim Bogart, president of the Grower-Shipper Association of Central California, which represents producers of vegetables, mushrooms and grapes. An executive order signed by President Donald Trump last month banning entry to the U.S. from seven Muslim-majority countries for at least 90 days over terrorism concerns has been held up by courts. A White House official on Wednesday confirmed that it wouldn’t issue its revised executive order on immigration travel restrictions until next week. The administration had previously said it would release a new order this week. The agriculture and construction industries have relied on immigrants for decades to do tough, low-paying jobs U.S. citizens often avoid, from picking berries to slicing up hogs to erecting framing for houses. Many of these workers are undocumented. Foreign-born workers make up about three-quarters of the roughly 1.1 million workers on U.S. farms, and nearly half aren’t legally authorized to work, according to the U.S. Department of Agriculture. In the construction industry, 13% of workers in 2014 were undocumented, according to data from the Pew Research Center, along with about 9% of workers in the leisure and hospitality industry, which includes restaurants. Labor-strapped American employers increasingly rely on immigrants—including those in the U.S. illegally—to counter the trend of an aging native-born population. If millions of illegal immigrants were deported, “you would have massive labor shortages,” said University of Michigan labor economist Donald Grimes. Department of Homeland Security officials said their limited resources mean they would focus on immigrants who pose a public-safety risk. But they also said immigrants aren’t exempt from deportation just because they don’t fall into a priority group. “The enforcement priorities are criminal aliens as well as those who pose national-security and public-safety threats,” said White House spokesman Michael Short on Wednesday. In Fresno, Calif., immigration attorney Camille Cook said she is helping to organize rapid-response teams for the area’s farmworkers, many of whom are undocumented immigrants from Mexico. Those teams aim to advise dairy and crop workers on their rights if immigration authorities show up on their doorsteps, she said. Not all of the changes—like expedited removals for immigrants—will take effect immediately. Carol Meylan, director of Intra-Agency Programs at Catholic Charities of Los Angeles, said she expected most effects of the executive orders wouldn’t be felt for several months as the government hires more border-patrol agents and puts new procedures in place. Mr. Wilhelm of R.D. Olson Construction said he is waiting to see the impact of the government’s moves but expects that stepped-up deportations would affect all operators in his industry. Immigrants wait for work last month at a day-labor pickup site in Stamford, Conn. The city has an official zone for employers to pick up such workers. The Grower-Shipper Association, based in Salinas, Calif., has issued recommendations since last month about how to respond to immigration raids, outlining workers’ rights and current immigration policies in coordination with other industry groups. Mr. Bogart said half his days now are dedicated to calls with producers and lawmakers to discuss immigration issues. Others are already seeing fallout from the tougher tone from the Trump administration. Paul Halderson said his 1,200-cow dairy farm near La Crosse, Wis., was left short-handed after losing a handful of immigrant employees in recent weeks, who opted to return to Mexico. While Mr. Halderson said his employees all have legal standing to work in the U.S., some have worried about family members and the general climate for immigrants. “It is unrealistic to believe that dairy farming can continue as it is without the Mexican employees,” said Mr. Halderson. Harold McClarty, co-founder of HMC Farms in California’s Fresno County, estimated the crackdown could lead to millions of dollars in losses for his stone-fruit and table-grape operation. The restaurant industry, which also relies heavily on foreign-born workers, has long used E-Verify, a federal worker-screening program that allows employers to check employees’ legal status online. “We have let our franchisees know of the increased activity and used it as an opportunity to remind them…that all franchisees use E-Verify,” said a spokeswoman for Dunkin Brands Group Inc., owner of Dunkin’ Donuts, which was an early adopter of E-Verify. —Chris Kirkham, Julie Jargon and Ian Lovett contributed to this article. 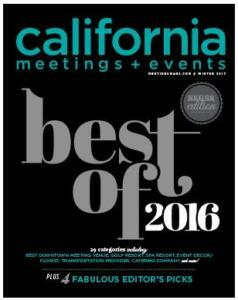 It's remarkable to have four of our recent projects mentioned and honored in California Meeting & Events Magazine's Winter Issue. The anticipation for the Irvine Spectrum Marriott (page 29) and Lido House Hotel (page 44) is increasing, while Pasea Hotel & Spa is named "Best New Venue" and W Hotel is named "Best Renovation" (page 39). Check all the full stories here. “Year-to-date hotel rooms under construction for the U.S. are up almost 30 percent from where they were last year,” Reay said. “A lot of people are worried that we're building too many hotel rooms. The Lido House Hotel in Newport Beach is a huge, historic project. Can you tell me about plans for the development? Olson: That property is the old City Hall. We had to compete to win that project. I live in Newport Beach. So for me it was pretty simple what the concept should be. The concept is Newport nautical architecture and lifestyle. Our whole concept is to be curators of Newport Beach. We're one year away from opening. Olson: We focus on the markets we like, which have multiple demand generators. Then we work to try and find the land. The last 15 hotel's we've developed are ground up. We've opened 11 since the Great Recession. Olson: You could not do a project like this again today. The entitlement process took the original developers 11 years to get the entitlements, and they got hit by the Great Recession. We were fortunate to buy this with all the entitlements. But the property plans are our own plans, nobody else's. We brought in Pacific Hospitality Group as our operating partner and co-developer. Wilhelm: We look at the customer, the client, the partner. Location is also important, but also the uniqueness of the property. Whether it's a hospitality project or one of our timeshare projects or even an education project, it's finding a product that's special to the community. Olson: It's hard to measure. We know that when the Super Bowl happened, Airbnb took the top off the demand, or the hotels didn't sell out because that last demand went to Airbnb. But we're not seeing an affect on our hotels. For us, we need to be able to compete. We need to provide our guests something that Airbnb can't, is not or cannot do. Wilhelm: The Los Angeles market is a very hot market right now for revamping and reuse and repositioning. We're starting to see it some in the Orange County market, but not to the extent of the L.A. market, which is doing things like taking an office building and repurposing it as a hospitality project. Last year, about 97 percent of hospitality projects were “new ground up.” Today, about 51 percent is adaptability, reposition and renovation, and only 49 percent is new ground up. We're starting to see a swing in that market. Part of it is saturation of the new ground up, the ability of developers to find land, the price side of the equation, getting to market as fast as they can and development costs which are making deals more difficult. Construction costs over the last 12 months have soared 10-15 percent in California. Olson: Part of it's new building codes, energy code changes which is affecting internal systems, the mechanical systems. Olson: There are huge resource issues now. Resources are a huge cost. R.D. Olson has longstanding relationships with subcontractors. It really gives us a competitive advantage. Bill has access to companies, to subcontractors, who love working with him because of what we do. We get jobs done, everybody gets paid and it's a good project. Wilhelm: That's why the right customer fit is so important. We're bringing our subcontractors to the table, guys that rely on us for funding. And they are guys that we can count on because they know they are getting paid on time. We really focus on the relations. We spend more time today on enhancing those relationships and building new relationships. We need to have subs capable of doing work on all the different types of projects we do. There's also a geographic element. A year ago, you could take guys from Orange County to Los Angeles. Today, it just doesn't happen. Resources are limited, so you need to manage relationships in geographic areas. Guys don't go out as far when there's work for them right in their backyard. Orange County's tourism groups have made huge efforts to attract more international tourists to Orange County. Are you seeing more of these visitors at your properties, and is there anything being done to attract these customers specifically? Olson: Orange County is a great destination for international travelers. We're especially seeing a lot of visitors from the China market. We just finished one project, the Casino Hotel in Bell Gardens, that was truly designed and implemented based on the Asian gambling traveler. We're involved in a couple of hotels today at LAX airport, and part of that theme is the international travelers, providing for them once they've checked out but have six, seven, eight hours to kill before their flight. We're creating special guest services rooms that are suited to the different Asian cultures. Our menus are also adapting to the Asian traveler. Our biggest growth for the international market is definitely China; 200 million middle-class people are in China. That's more than half of our population. The numbers are staggering. Olson: When you stay at our hotels, you really feel connected to where you are. The Paséa is all about a beach community. I've watched international travelers come in with amazement. In downtown Pasadena, that hotel is all about Old Town Pasadena, the architecture, the interior. You know you're in a town with a lot of history. Even though we work on branded hotels, too, there is always a theme. The theme for the Irvine Spectrum hotel is the Irvine Ranch and the history of the ranch. That will have a rooftop bar. Olson: If you look at where we're developing, you are going to see that it plays into our strategy of building where there are multiple demand generators and opportunities for new product. Olson: All developers want to know where we are in the cycle. We know where we were in 2009; it was terrible. Are we at the end of this cycle of recovery? Our philosophy as developers and builders is that we can't predict when the cycle ends, but we can be prepared for it. We're built for taking advantage of the great economic times and are prepared for the down times. The short-term horizon, we think, looks good. Wilhelm: On the construction side, in the next couple years we still see sustainable growth. We're always looking for where we go next and how to respond to changes in the cycle. We're strengthening our core and looking at different industries. Olson: For Anaheim, it's the demand that Disneyland's creating. It's an incredible market with Disneyland and the convention business. For Irvine, the Irvine Spectrum is the new growth area for Orange County, both established businesses and entrepreneurial businesses. It's the center, a gateway for quality housing, great, educated employees, and it really is the convalesce of tech, education, recreation, so many different demand generators and exciting things that are happening. With Great Park, the baseball fields and soccer fields and there's just so much for the community to do and for people outside of the community as well. The Irvine Co. is really creating a 24-hour city with the retail, the restaurants, the housing and the tech offices. 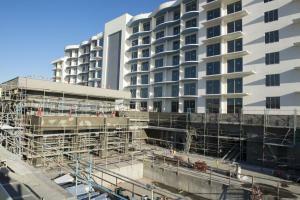 Wilhelm: In Irvine, we have our full-service property underway at the Spectrum, a 15-story Marriott. We're working on a Courtyard Inn and Suites in Anaheim, and we've got two other hotel properties in Anaheim we are working with existing clients on. That market is continuing to stay very hot. R.D. Olson Construction inches their way up another spot this year to #11 on the Orange County Top Commercial Construction Companies list, but we definitely have the #1 team! We are thoroughly excited that our company continues to grow and look forward to another year of success. 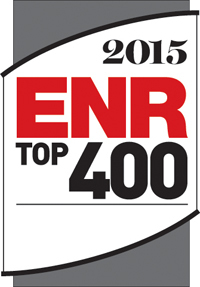 Irvine, CA – Thanks to our staff's continued dedication to excellence, we were able to get on the ENR (Engineering News-Record) Top 400 Contractors List in the United States. This award is a great measure of the success R.D. Olson has seen in the last few years and exemplifies the organization’s continuous pursuit of top notch service and quality projects in the hospitality, restaurant, multi-family, retail and entertainment sectors. We charted at #302 up from last year's #374 position and we know 2017 can only bring bigger and greater success. You can view the complete list of contractors here. Our recently completed Bicycle Casino Hotel was given a full spread with full project details in the April 2016 issue of Lodging Magazine. A great way to commemorate such a grand project that R.D. Olson Construction is so proud of. IRVINE, CA—Three current and upcoming R.D. Olson Orange County hotel projects—the Irvine Spectrum Marriott (which recently broke ground), the nearly complete Paséa Hotel & Spa in Huntington Beach and the approved Lido House Hotel in Newport Beach, which will begin construction in Q1—are very different, but each will be successful because they reflect the regions they serve and provide something those markets are lacking, company executives tell GlobeSt.com. 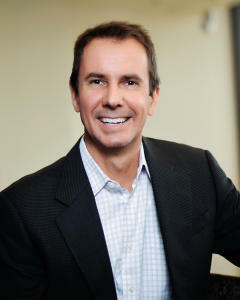 We spoke exclusively with Bob Olson, founder and CEO of R.D. Olson Development, and Bill Wilhelm, president of R.D. 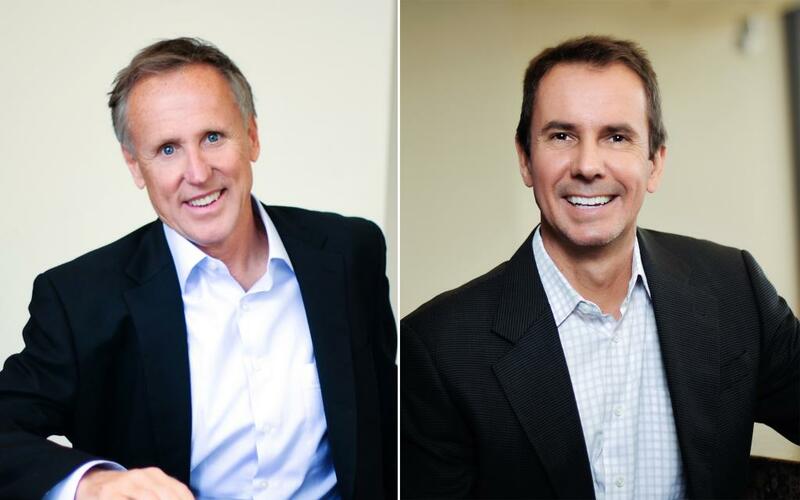 Olson Construction, to get their take on the projects, how they are alike and how they differ, as well as their thoughts on how the hotel industry is changing. CEO of R.D. Olson, Bob Olson and President of R.D. Olson Construction, Bill Wilhelm. GlobeSt.com: How are these three current and upcoming hotel projects integral parts of three evolving areas in Orange County? Olson: Each of these hotels is unique to what the market demand is. Our focus isn’t to bring a pre-set idea to a market, but to bring what the market is lacking. For example, in Huntington Beach, there was no truly lifestyle hotel that actually had the ability to hold large weddings, meetings and outdoor events in an oceanfront setting. That’s a category we felt was lacking, so that’s where Paséa Hotel & Spa comes in. We liked what Shorebreak has done, and it actually gave us some confidence that the demand was there, but the market needed much more meeting space and ocean views. Shorebreak was successful, but this piece was missing. For the Irvine Spectrum Marriott, we had developed a Courtyard there, and it was very well received by the business and leisure community, but what was missing was the full-service category—this market hasn’t had a new one in 10 years. We saw the demand for that through the hotel we have there. Marriott has recreated the Marriott brand—the mothership brand for Marriott—and they’ve made a big push to reinvent the brand to today’s travelers. We are the first rebuild of this new brand. It incorporates new rooms with wood flooring (no carpet), open closets, everything that appeals to today’s traveler. Marriott is the best in the business when it comes to understanding today’s travelers and keeping up with their demands. They have great research teams for every brand. We’re the first new build of that new brand, and combined with the shortage of full-service hotels in the market and what we knew from Courtyard, it gave the market what it was missing. In Newport Beach, no new hotel had been built in 50 years. What we felt was missing there was a destination brand hotel where people go to really experience Newport Beach, what it has to offer, and to feel like they’re really in the fabric of Newport Beach. Many people think of Newport Beach as Fashion Island, but the reason people came was right here, on the peninsula—Lido Village and out to the Balboa Pavilion. People took the Red Car Trolley down from L.A., and the Pavilion was built in 1906. There really had been nothing to accommodate guests of a high quality in this area. We felt this was a great opportunity to do a destination brand that brought Newport Beach to Newport Beach, if you will. This hotel will celebrate its history, but also today’s fabric of Newport Beach, which makes up everybody from the surf crowd to the yachting group and even skateboarding. There’s a tremendous eclectic mix of so many culture, and this is a great way to bring that together. Wilhelm: Each of these hotels is in a very unique community that is thriving and working together to enhance the community experience. The Irvine Spectrum area has developed and will continue to develop a great community—a live/work/all-around experience. You’ve now got a full-service hotel that will really enhance the experience of holding the community together: you’ve got the live/work aspect and part of the white-collar experience of Irvine Spectrum; the tech industry is also starting to expand its horizons in that area. I believe that having a full-service hotel brings things to full circle there and takes the game up a notch or two. With the Paséa Hotel—Huntington Beach has always been a very cool surf city. Over the last several years, it has grown a number of residential single-family communities and condos in the area. The city has always done a great job at trying to enhance the experience in Surf City—people use dot go there to surf, play volleyball and grab a burger. Today, there are hotels and condos and also a great retail experience with Pacific City. 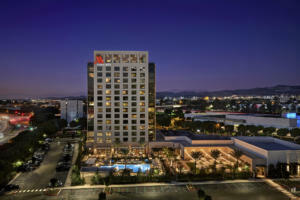 Paséa will be one of the top-rated hotels in Southern California, and there are a Hyatt and a Hilton next door to each other, which is enhancing the hospitality experience. The Paséa is looking to capture individuals who want to stay a number of nights. R.D. Olson Construction’s Tim Cromwell shares insights on the hospitality industry’s latest opportunity to appeal the Millennials - the microhotel - in this exclusive with GlobeSt.com. Irvine, CA—The hospitality industry has recognized an opportunity to appeal to Millennials and go further with the existing trends of improved hotel amenities without raising rates by simplifying individual guestrooms, R.D. Olson’s EVP Tim Cromwell tells GlobeSt.com. Some are calling this new combination of small rooms and lively common areas “the microhotel.” We sat down for an exclusive interview with Cromwell about the microhotel trend, which brands are adopting it and where it could lead. GlobeSt.com: What makes the “microhotel” attractive to Millennials? Cromwell: Hotel brands and developers are trading spacious or luxurious guestrooms for common areas that foster community. With an emphasis on vibrant communal space, style and economic value, microhotels appeal to today’s social traveler. Millennial-friendly amenities include large common areas, free WiFi, breakfast, and smaller guestrooms to encourage socializing and use of the property’s common areas. GlobeSt.com: What hotel brands are jumping on board? Cromwell: Some of the most fascinating and dramatic applications of the microhotel concept can be seen at properties that are looking to capture the more budget-conscious Millennial. For example, Pacifica Hotels is targeting the Millennial subset at the Wayfarer in Santa Barbara, CA, where guests can choose between private hotel rooms or dorm-style hostel rooms. In addition to the heated pool, community kitchen and “playful” decor, the hotel/hostel advertises the lively activity of Santa Barbara’s nearby State Street as an amenity in itself. Pacifica Hotels has similar plans for converting the historic Ritz-Milner Hotel in Downtown Los Angeles to another Wayfarer property in 2016. Additionally, Marriott’s Moxy brand couples 183-square-foot standard rooms with amenities targeted at urban travelers such as full bars and grab-and-go food offerings. 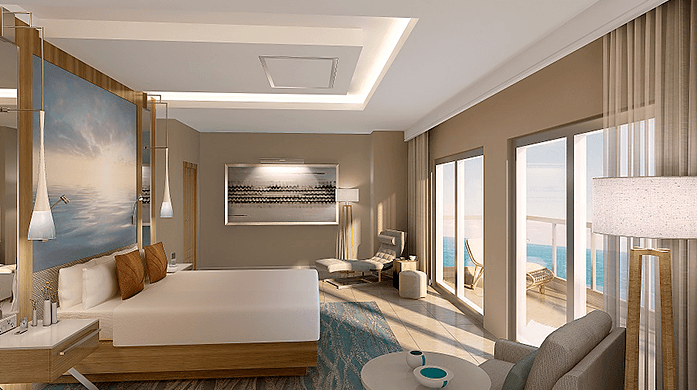 In the same vein, Hilton’s Tru brand plans to offset compact 230-square-foot king rooms with 2,770 square feet of varied amenity space to offer travelers a range of areas to relax and socialize. GlobeSt.com: Will this trend continue for new hotel developments in the future? Cromwell: Microhotels have been well received in urban areas and are expected to continue expansion into more suburban areas where travelers look for both great value and smart design. It will be interesting to watch how the hospitality industry evolves to further capitalize on the community-minded nature of the Millennial traveler in 2017 and beyond. For now, the name of the game is the exchange of larger, luxurious guestrooms for more highly amenitized common areas that foster community. IRVINE, CA—Concern about oversaturation has arisen among hotel developers and lenders who see quite a bit of product in the pipeline, opening opportunities in renovation and repositioning of properties, R.D. Olson Construction’s president Bill Wilhelm tells GlobeSt.com. The firm was recently selected by Disney Way Partners, L.P., as the general contractor for the new Country Inn & Suites ground-up hotel project in Anaheim. We spoke with Wilhelm about how hotel brands and developers choose fulfill their objectives in a particular market, as well as his expectations for hotel construction this year. GlobeSt.com: How do hotel brands and developers fulfill their objectives in a particular market? Wilhelm: That’s a question that’s not all that easy to answer. Geographics is playing a lot into what hotels are built and where, and also the number of equal-type hotels that might be located in a general area. Brands will be very careful not to oversaturate a local market based on what they have in the market. From a branding perspective, they understand what they have in that neighborhood. Brands do a really good job of gauging what the market conditions can withstand from a renovation or development perspective. Developers are looking for dirt, knocking on doors and selling why that location makes sense. They’ve got relationships with different brands, and they understand what makes a location work in a specific area. Local geographics play a lot to the success of a hotel long term. They start to evaluate what kinds of rooms, what features and what the community is looking for in order to get the best return on their investment. That drives a lot of it—they’re not going to put in a full-service hotel in an area that doesn’t have opportunities to fill those rooms. You want to put a full-service hotel in a market that has corporate customers but can also fill rooms with weekend usage. You also have different market levels—primary, secondary—and some markets in the last four to five years have been all over the place. As the hospitality industry starts to slow down, certain markets may become a little skittish, so what is going to drive those rooms? Local business segments such as tourism might be in secondary market that aren’t bad markets, but a turn of events means they might not fill up as well. They also look at existing properties flying their flag that may be aging, so they ask franchisees to update the properties to make them current; they might not renew a franchise if they don’t update. That’s part of the brand side; the developer side is understanding a geographic market and where they resonate putting heads on beds. Read more here. ...Construction on a “lifestyle” hotel under the Marriott name starts in Irvine in March with a fall 2017 opening planned, said Mike Chavez, senior project manager for R.D. Olson, which is developing the project. It’s “right across the street from (the) Taco Bell” headquarters and just off the I-5 (Santa Ana) in the Irvine Spectrum area. The hotel includes a 5,000-square-foot ballroom that can be divided into two meeting rooms if needed; a 6,800-square-foot lawn; and a 1,500-square-foot prefunction area that opens onto both of the larger spaces —similar to the Paséa setup. Two other meeting spaces—a boardroom of about 500 square feet and a 2,000-square-foot room that can be split in half—bring the hotel’s total space to just less than 16,000 square feet. Chavez pointed out an interesting lawn element “for guests to have fun with,” a nearly life-sized chessboard—it covers about 240 square feet—with pieces 3 to 4 feet high. The hospitality market has made a true comeback over the past several years as a result of the improving post-recession economy. Business trips are more common, and families and couples are once again traveling for pleasure. To keep up with the increased demand, the hospitality construction and development sectors have responded, adding various properties, many of which are select-service hotels in strategic locations. While this rapid growth has positioned the hospitality sector well, there are signs the market is imminently changing— and that the strategy behind hospitality construction and development must, and will, change with it. The improvements in the economy have driven increased demand for beds and amenities. That same economic upturn has also boosted land and construction prices, ultimately increasing the cost of hotel development. While there is stilldemand for additional hotel rooms in some markets, others are showing signs of saturation. Hospitality professionals will need to address both the increased cost of construction and market saturation – and provide a truly unique product — if they are to succeed and compete in the changing marketplace. 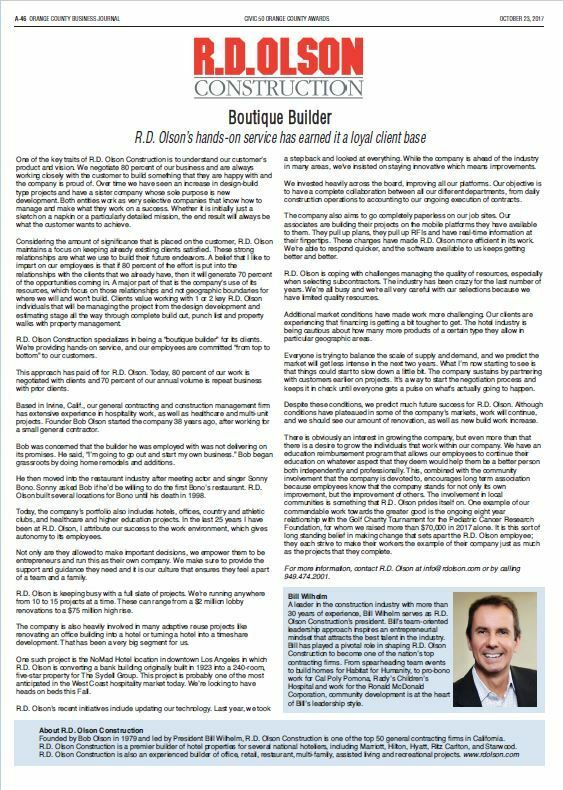 Read the entire story on page 24 of this month's Western Real Estate Business. High occupancy rates, rising room rates, record hotel sales - the year had it all. We’re excited to be a part of the booming hotel industry in Orange County this year! According to a recent article in the Orange County Register, the OC experienced high occupancy rates, rising room rates, and an increase in new construction in 2015. 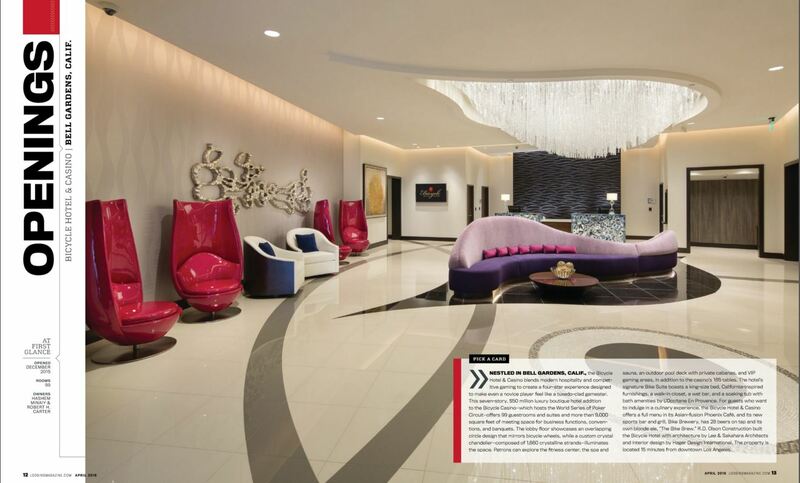 Our Pasea Hotel & Spa project, slated to open in the spring of 2016, was featured in the piece, which highlighted the hotel’s unique customer experience and amenities, such as flip flops instead of slippers and 34,000 square feet of event space. Learn more about the region’s hotel boom here. 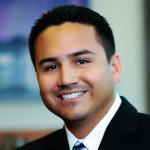 As the economy strengthens, the building industry has regained momentum, and Joe Cervantes' Leadership has helped R.D. Olson Construction maintain a competitive advantage. 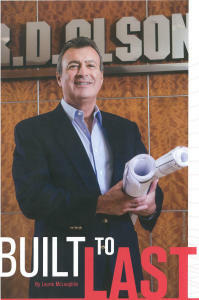 Read our Executive Vice President's entire corporate profile in his Alma Mater's magazine here. In its 36th year of providing excellence in general contracting and construction management, R.D. Olson Construction has a well-established reputation in the industry and is now focused on building its legacy for the future. "What have we focused on in the last couple of years?" President Bill Wilhelm asks. "Not letting our prior 35 years of success get in the way of the future and focusing on what kind of change we have to make to adapt to the change in the industry." Founded by Robert Olson in 1979, the Irvine, Calif.-based company established itself as a nationwide general contracting and construction management firm recognized for reliability and customer loyalty. The company is known for its hospitality construction expertise, as well as its growing presence in healthcare and multi-unit projects. Sixty percent of R.D. Olson Construction's work focuses on the hospitality sector, including new development, renovation and repositioning, spas, country clubs and restaurants. About 30 percent of its work includes multi-unit projects that include timeshares, assisted living, student housing, and for-rent and sale properties. The balance of its work includes private education, healthcare and entertainment facilities. "we are focused on increasing our revenue stream in areas outside of hospitality, though that is our bread and butter," Wilhelm explains. "We have an impressive reputation for being a hospitality builder, but we are a company that is focused on the future, our legacy and sustainability. You have to look outside the environment you have played in for some time and work on segmentation rebalancing." Multigenerational Workforce The entrepreneurial spirit of the company translates into making a difference in the client's experience, enhancing relationships with subcontractors and the design team in an effort to "hit the grand slam" for a project's success, Wilhelm explains. "We are very impressed and proud of our people," he adds. "They have come forward with accepting the necessary change, as we focus on the future." Finding associates is one of the biggest challenges facing the company - and the industry as a whole - because of the decline in younger generations entering the construction industry. "It's an industry that has been depleted; the construction industry was hit pretty hard (during the recession)," Wilhelm notes. However R.D. Olson is beginning to see a new injection of individuals into the industry and prides itself on the multigenerational workforce it has created. "How do you bring different generation together to feed off what each other has to offer?" Wilhelm asks. "The seasoned associates may not be as tech savvy, but the younger generations, that's what they do - they live and die by technology. The younger associates are teaching the seasoned associates how to capitalize on technology that's available and the seasoned individuals are opening the door and educating the younger generations on what being a builder is all about." Developing a multigenerational culture is part of what sets R.D. Olson apart from the competition and is its greater goal of building a legacy for the future. Although implementing state-of-the-art technology and new systems regularly attracts the younger generations to R.D. Olson, it has also become an industry standard. So to go above and beyond that, the company is focusing on building a strong community connection that younger generations crave. "We create a lot of opportunities for our associates to do things together within and outside the company to create experiences for individuals to be part of something bigger," he explains. To see the rest of this story click here. 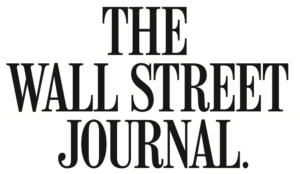 ORANGE, CA—Strong real estate assets can help universities jockey for high ratings in an industry that competes for the best students, professors and programs that higher education can offer, R.D. Olson Construction’s president Bill Wilhelm tells GlobeSt.com. As we recently reported, the firm is building the Hilbert Museum of California Art, a new museum at Chapman University here, including the construction of the university’s new Musco Center for the Arts. We spoke exclusively with Wilhelm about the project and trends in academic development. GlobeSt.com: What changes are you noticing in academic development? Wilhelm: Universities have definitely been ramping up for an increased enrollment degree that they’ve been challenged with the last few years. Enrollment is up across the board, from private colleges to public universities, even though people have been through tough times—they realize that higher education is important. Everyone is looking for ways to adopt and extend education. We look at job candidates all day long, and we are focusing individuals who are bringing a higher level to the table as an offering of their overall portfolio. People are looking at the future of companies, sustainability and legacies. In the educational world, a lot of schools are putting together a 10-year program, a master plan, with their needs and the items they’re trying to capture. Some California universities have a 42,000-student enrollment but can only house 3,500 students. So, they’re looking to expand their amenities: science buildings and lecture halls, labs, etc. They’re looking for student housing as well as on-campus hospitality for visiting parents and professors. Regardless of the university, every campus within Southern California has the same problem on the housing side, and on the academic side, schools have to provide the competitive advantage as well. They’re all jockeying for rating in an industry as the best pharmacy or law school. They’re racing to bring on top-notch professors, and they’re realizing they haven’t done much from a development perspective as they needed to do. There’s a competition to pull in the best and brightest students and professors—even Nobel Peace Prize-winning professors to provide that department recognition and to truly create that brand. GlobeSt.com: How are academic buildings becoming more cutting edge and less institutional? Wilhelm: In the last 15 years, they haven’t chased this as much as they should have, but they’ve shifted focus; now they’re fully engaged in catching that. Regardless of the industry, we study multigenerational aspects quite a bit, and Gen Z has hit the media. It all comes back to what their needs are, but there’s this lifestyle, this expectation of what we have to adapt to the needs of the future. Universities are getting away from the institutional look; they’re creating a very free-flowing-lifestyle environment. They’re trying to design as best they can into the local geographic element. For example, Chapman is a phenomenal campus, and it has the old city of Orange charm. Every university is doing a great job in partnering with local communities and creating this lifestyle, open-format, technologically advanced environment that has a feel of where we’re all going. Universities are creating this true open concept, this “bring the family on in” feel. For this generation of students, this is what they’re looking for. You see it in the multifamily and hospitality industries, and it’s the same in academics. Who is our end user? What are their needs and expectations? We’re no longer doing things because of the industry, but because of this expectation from the users. Loosely translated, wailea means 'water play'...so it's only fitting that the Marriott Wailea Residence Inn incorporates water as a distinguishing feature in their design and operation. Along with a 'resort-style pool and spa' Marriott's new 200-room, four-story Wailea hotel will feature a fitness center, an outdoor sports court, a market and 1,800 square feet of meeting space." Bill Wilhelm was recently interviewed by Globe St. on his views on how amenities are playing a role in construction and development. IRVINE, CA—Developers must approach each property creatively to generate the best customer experience, including combining property types or offering unexpected amenities, R.D. Olson Construction’s president Bill Wilhelm tells GlobeSt.com. We sat down with Wilhelm for an exclusive interview about how user expectations about amenities are shifting planners’ and developers’ approach to their properties. GlobeSt.com: There is a growing expectation for amenities that were traditionally only accessible at certain property types to be “always available” to tenants wherever they go. How do you see this trend playing out in the market? Wilhelm: Today’s customers expect more out of their properties than in the past. They want to combine where they live, work and play, accessing all their “lifestyle options,” whether they are at home, at the office, on vacation or at the mall. Developers must now take a step back and look to define user demographics and their specific needs before deciding what to develop in a certain market and, more specifically, at a given site. In the California market, land availability is becoming scarce, requiring developers to approach each property creatively to generate the best customer experience. Developers can achieve this goal by “combining” property types or offering unexpected amenities in a more traditional setting. GlobeSt.com: Your current work at SmartStop’s Ladera Sports Center—which combines storage and recreation—demonstrates the fusing of property types to meet the growing pressures to provide more. How is this shift creating opportunities for developers? Wilhelm: Ladera Sports Center is a great example of what is transpiring in many communities in California. One of our clients, Lutzky Associates Development, identified a need for both storage and sports facilities in the Ladera Ranch community for its client SmartStop and engaged us to construct a space that would meet those needs. The project that is currently underway combines storage facilities, an athletic complex and a new corporate office for SmartStop, making the most of the property and meeting the needs of this geographic area. Across geographies, Master planners are looking for ways to combine property types or introduce new amenities to make the property “work harder” for its end users. For example, the Irvine Spectrum area has introduced medical-office buildings and senior-living options to complement the area’s existing office and retail offerings. By introducing these types of properties into amenity-rich properties, it creates convenience for all end users. Now, they can visit their doctor, run a few errands and see a movie all in one trip. These choices are not accidental. The value of a given property is greatly affected by its direct adjacencies, and developers and master planners are looking for ways to make all of their investments more valuable, all while creating a better experience for the end user. GlobeSt.com: What are the construction considerations for this shift? Wilhelm: For the Ladera Sports Center project, our goal was to combine three types of user needs—storage, recreation and office—and that end goal directed our construction efforts. High-end property types, such as recreation facilities and offices, require different construction than industrial properties, such as storage units. In a project that combines these property types, it is important to fully understand the developer’s vision and the users’ needs to create a cohesive look and feel through the interior and exterior skins, while mitigating costs. In cases where multiple property types are combined, it is imperative for a general contractor to be involved early in the process to contribute solutions that maximize property value and customer satisfaction, while maintaining the designers’ and developers’ original intent for the project. GlobeSt.com: What does the future look like for this “providing more” trend? Wilhelm: We will see an increased demand for multi-use property types, from both a convenience and a community standpoint. In efforts to grow communities, particularly in areas like Southern California, multi-purpose properties will serve specific neighborhood needs and increase engagement. With the cost of land and construction rising, developers need to be as creative as possible in their property development and planning to reach a wider range of users. Irvine, CA - Thanks to the hard work and dedication of all the R.D. 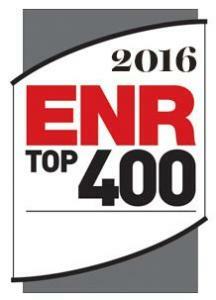 Olson Construction team, we were able to get on the ENR (Engineering News-Record) Top 400 Contractors List in the United States. This award is a great measure of the success R.D. Olson has seen in the last few years and exemplifies the organization's continuous pursuit of excellence and top notch service to the hospitality, restaurant, multi-family, and entertainment sectors. We debut on the chart at #374 but with steadfast dedication, R.D. Olson hopes to continue to climb the charts in 2016.